Writing a good business email has an important role in the communication process between one company to another. Unfortunately many people don't know how to write a good business emails or memo. There are two possibilities that can happen normally, the email content is too short and tight or too long and convoluted. 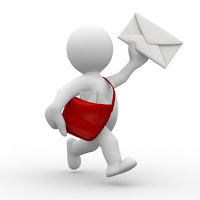 Business correspondence will be warmer and remain professional if your business email organized better. Email that has the right length and minimal misspellings give a positive impression to the company's image in the eyes of outsiders. No matter the topic of the email you write, whether it resumes or requests to meet new clients, the most important thing in writing a business email is how to keep it simple, straightforward and gives the impression of a warm and friendly welcome. All of that will make your e-mail / memo have a higher chance to be read and replied by the recipient. In order to that you can follow these tips tricks below. Use interesting and reasonable sentence in the email subject and make your email stand out in the eyes of the recipient so that he was willing to set aside a little time to read. Include the person's name in order to increase the chances of your emails read. A subject that is empty or filled with too common words like "hello". Try to name the subject of the email, such as "Hello Andy, Susan advised me to meet you". This will make the reader more interested in the subject to open and read it. Starting an email with an official greeting could make the recipient feel distant and cold. Business communication is now more relaxed so it would be better to start your business email with the word Good Morning or other friendly greetings. Make sure you write their name correctly, avoid misspelling or using a nickname that she / he didn't like. There is no reason to write the words that are difficult to understand. Your message will be easier to understand when you use a simple language and widely used terms. Arrange the sentences as you speak and proofread your email. Don't assume others will know or remember the topic of your previous conversation, provide a heads up in your mail subject or in first paragraph. You could write: "I am writing to (follow-up meeting on ..., respond to your inquiry...)" That way, the recipient will be easier to understand the purpose of the email that you send. People can get very busy. Don't clutter your email with words that are not necessary and do not make the letter longer than it should. Email paragraph that contains more than 5 lines make it harder for the reader to read. If you have a request for email recipients, simplify the language so that he / she understands what you want them to do specifically. You will get a better response if you say "I would appreciate it if I could talk with you by phone for 15 minutes to discuss this problem." A formal greetings and afterword could keep you distant from the recipient. Use a warmer or welcoming words such as 'Thank you very much', 'Have a nice day'. But don't do it when the person you emailing is a highly respected or more senior. You could use a signature line that includes your name, title, telephone number, email address and other important information. And if you work in a company; enter the same business site address. Even if your job does not require a high writing skills, you'll still be judged by the quality of your writing. Use grammar and spelling checker in Outlook or a word processor such as Microsoft Word before sending an email. And avoid using exclamation points when not needed. Always take the time to proofread what you've written and make sure all the words in the email as you want. If necessary, ask someone to read and ask what they think about your sentence.